When you visit historical sites around the world, don’t forget to look up! Some of these ceilings are decorated with magnificent works of art, while others reveal impressive feats of architecture. 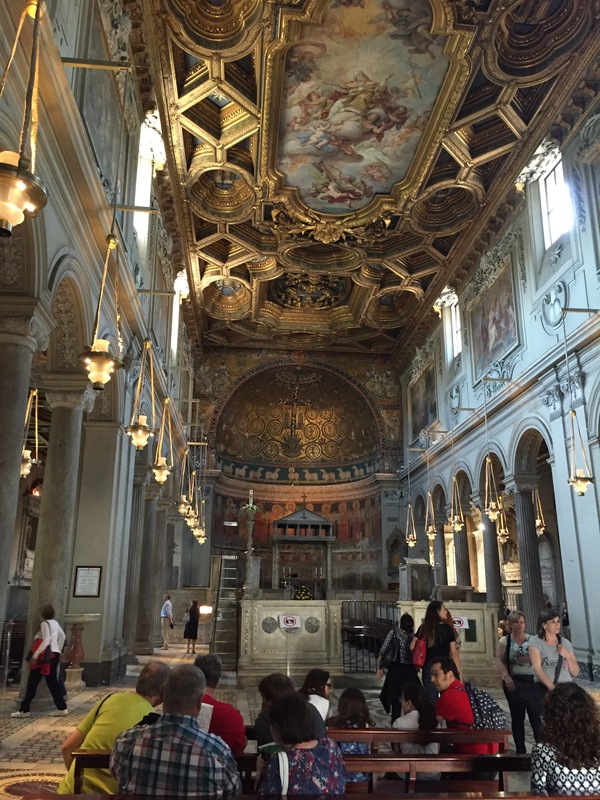 Here are just a few of my favorite ceilings from our travels around Europe. And, of course, the oculus of the Pantheon. During the Feast of Pentecost, rose petals are poured down from the oculus to mimic the tongues of fire that descended on the early Christians in the second chapter of the book of Acts. This tradition dates back centuries, to perhaps as early as 609 A.D., the same year that the last Roman Emperor, Phocas, is supposed to have handed over the Pantheon to the Vatican.